We are one step closer to a paperless cockpit. 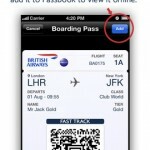 The iPads will have real-time weather capability and the ability to update safety and flight documents securely. We expect to add digital chart capability, once it is approved. Pilots will be able to make decisions to help improve the customer experience, such as having a more robust weather briefing that can be used to update customers during the flight about what to expect en route. The model used is Apple's iPad 4 16-GB (Wi-Fi only), and JetBlue says that it has already started giving all 2,500 of its pilots an iPad for the cockpit. 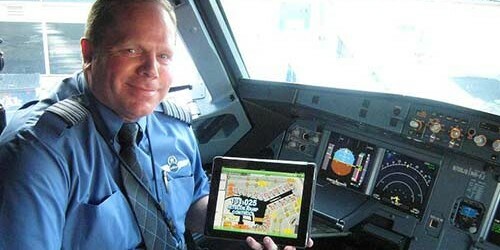 Though an impressive move, JetBlue is somewhat late to the game when it comes to incorporating iPads within airline cockpits. 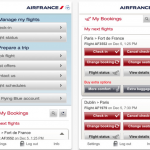 Alaska Airlines, for example, which recently added Passbook support for boarding passes to its app, started equipping pilots with iPads as early as 2011. It's worth noting, however, that JetBlue's move is more advanced than that of its competitors. With on-board Wi-Fi, pilots will indeed be able to receive live, accurate weather information while in the air, along with updated company documents. We'll keep you posted with further information as we receive it. In the meantime, see: Ride The Waves And Prepare To Meet Mrs. Doubtfries In Jetpack Joyride, To Pay Or Not To Pay: Apple Details iTunes Radio Royalty Terms For Record Labels, and Cydia Tweak: Disable All Of Your Alarms With A Single Swipe In The Clock App.